You are currently browsing articles tagged for dummies. To celebrate “Read an E-Book Week” (March 6-12) as well as the release of my newest eBook Canon T3i Experience, some of my previous e books are on sale, including Your World 60D for the Canon 60D and T2i Experience for the Canon T2i / 550D. Just go to my Full Stop ebook bookstore, (www.dojoklo.com/Full_Stop/) where you can learn all about the eBooks. 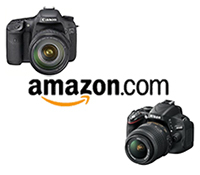 Also available, the brand new Canon T3i Experience as well as Nikon D7000 Experience. Learn how to set up and customize the menus, settings, and functions of your Canon T3i / 600D, Nikon D7000, Canon 60D, or Canon T2i / 550D. Then start to learn to use your powerful dSLR to its full potential so that you can improve your photography and consistently take better photos! Download your ebook instantly and start learning right away.